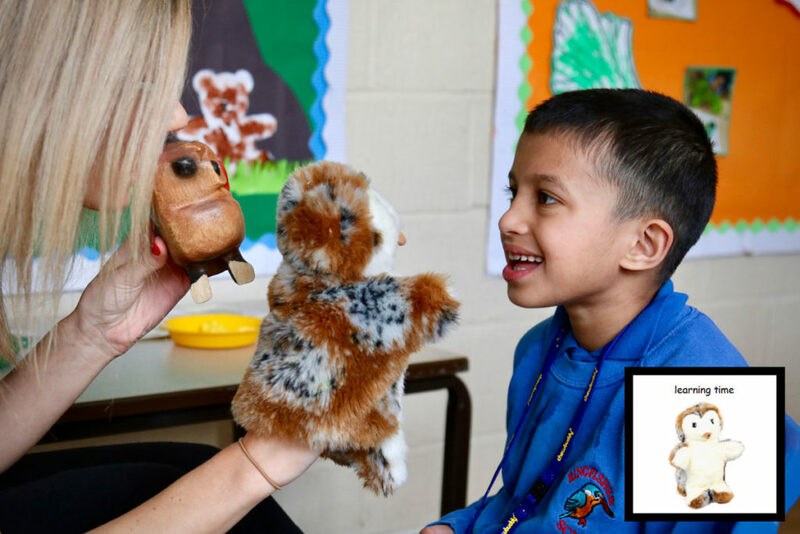 At Kingfisher we recognise that children with complex and severe learning needs face particular challenges in learning and in life which demand us to find individual solutions. It is with this in mind that we continually seek to further develop and look to the latest research to find the best possible approaches (strategies, resources, environments etc) in all aspects of our offer to ensure that all children receive a varied, creative, engaging and appropriate curriculum offer which gives opportunities to learn skills for life. Essentially, the Kingfisher curriculum is built around meeting the holistic needs of each child. The four areas of each child’s Education and Health Care Plan form the basis of priorities for provision. Cognition and Learning are addressed through one of the three Kingfisher Flightpaths (Subject, Pre-subject or Non-subject specific), underpinned by the other three areas of Communication and Interaction, Sensory and Physical and Wellbeing (Social, Emotional and Mental Health). These three areas are non-runway specific and are highly personalised. 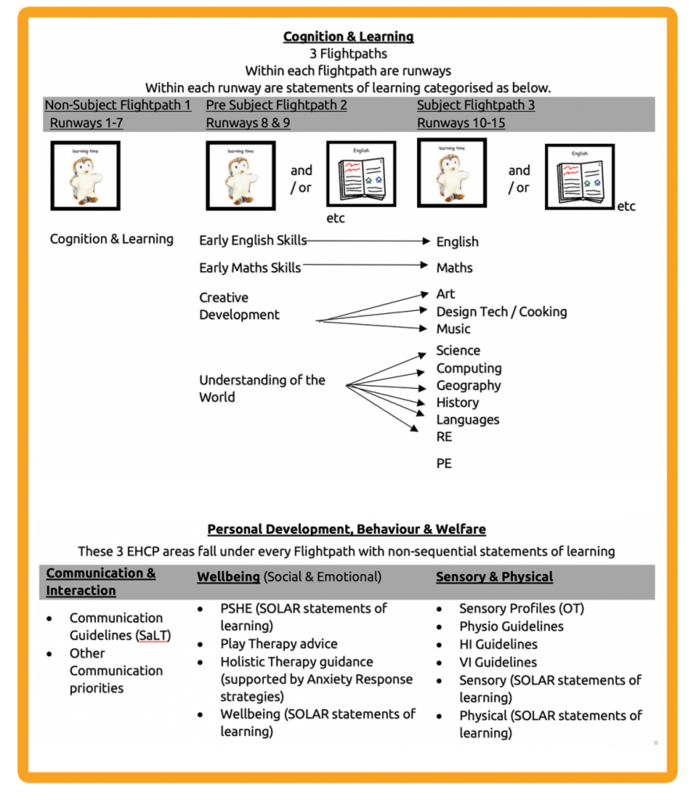 Children working within Runways 1-7, at the very early and emergent stages of learning, will focus on key personalised learning through non-subject specific teaching. Children working within Runways 8 and 9, who are learning to learn and beginning to develop some independent learning strategies, will experience some subject specific teaching in early English and Maths but still through a creative, cross curricula approach. Those children working within runways 10 – 15 will be developing their independent learning further and continuing to conceptualise their learning through subject specific teaching and learning yet within a creative, cross curricula approach. Walt the owl is a symbol of learning used within each class to cue children into learning time. He takes the form of a hand puppet and a wooden ‘whistling’ Walt, giving an auditory cue in addition to the visual and tactile. Walt is used to help children recognise and celebrate learning. Children can be awarded Walt stickers to recognise significant achievements.